The dashboard is like a window allowing you to peek into your database. 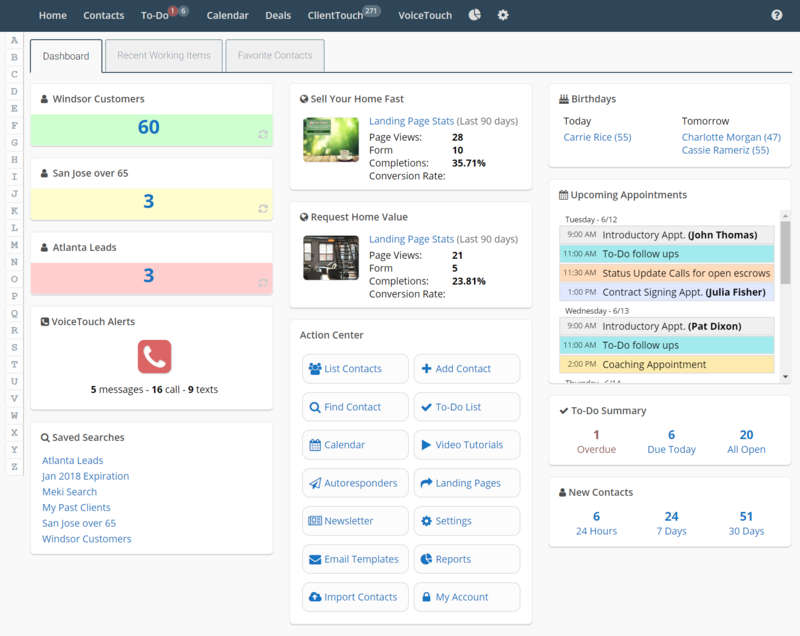 It can count your contacts is a specific category, show you how your landing pages are performing, and much more. Customize it - so it brings you valuable information every time you land on that screen. Group several client activities into a simple automatic sequence. 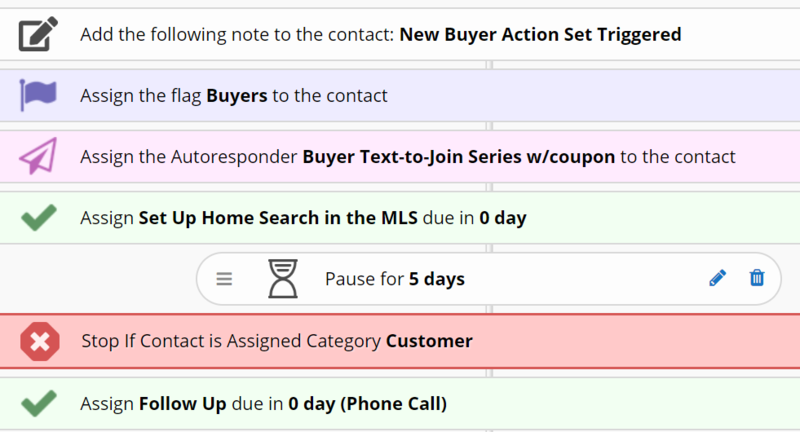 Action Sets can simplify your workflows and make sure you never forget an important step in your processes. 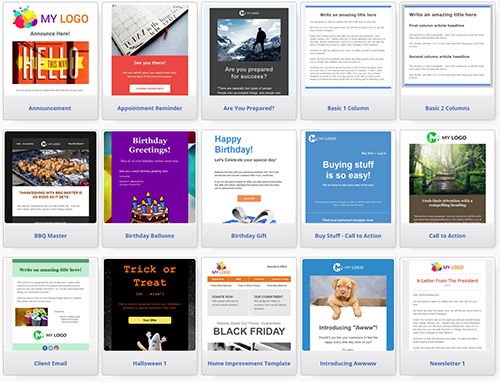 Quickly design stunning, mobile-ready emails with our drag and drop email template designer. Select one of our pre-built templates, or design your own. Reduces email production time with smart design tools, review & approval features, and easy mail-merge capabilities. Send your clients a monthly newsletter that is customized with your contact information. This is a great way to stay "top of mind" with your clients. When they are ready to do business, they will be thinking of you! 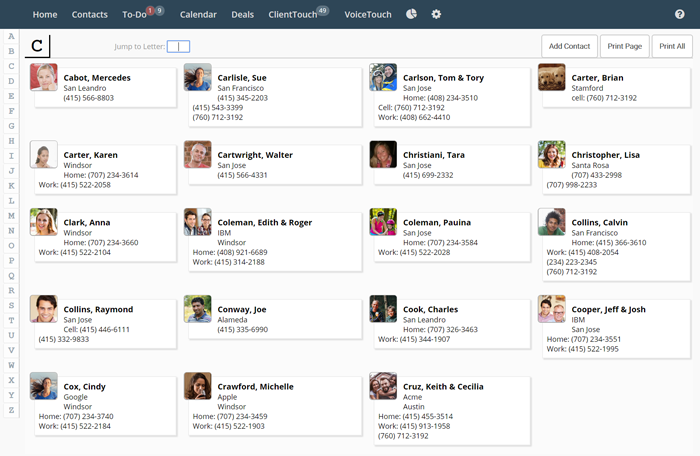 There is a lot to love about AllClients and you will find yourself effortlessly jumping from screen to screen. 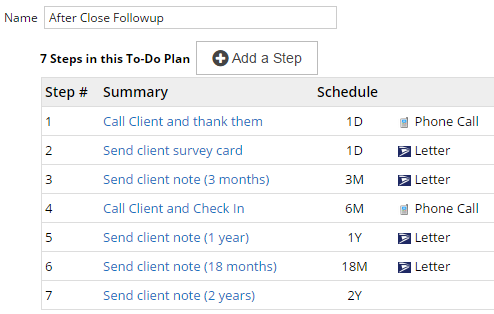 With the Agenda Assistant, AllClients will send you an email each morning to tell you when you have appointments, to-do's, client Birthdays and more. Remembering your client's birthdays is a great way to show you really care about them - on a personal level. 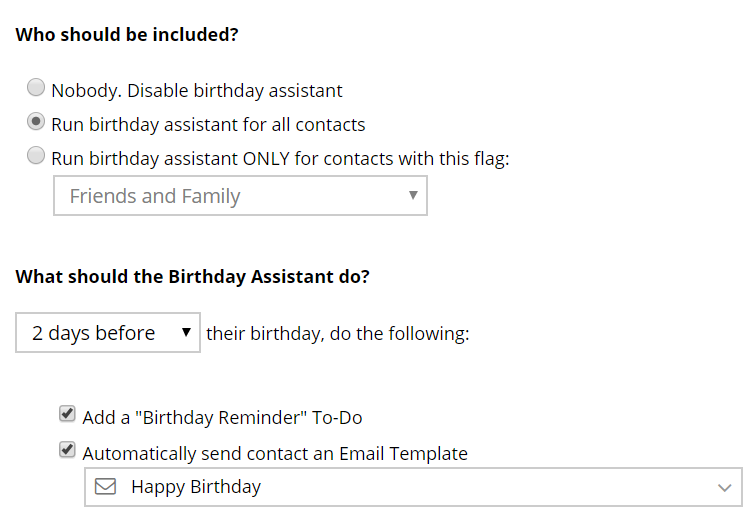 The Birthday Assistant will automatically send your client a birthday email or set up a To Do to remind you of this important event. 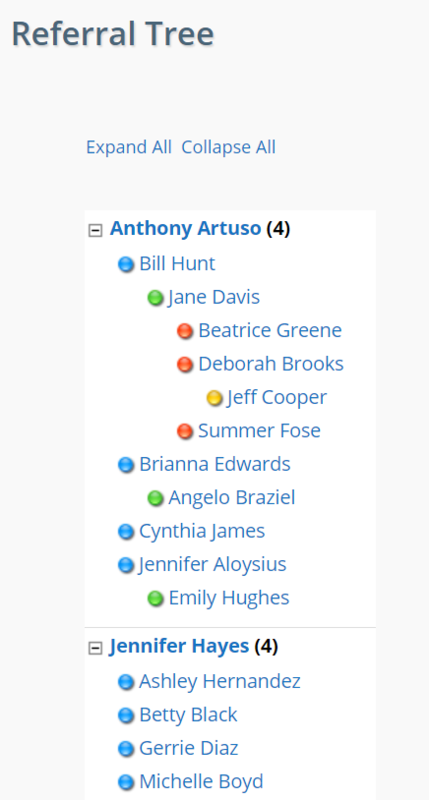 AllClients will show you who has referred whom in an easy-to-read and understand Referral Tree. Sometimes you have a series of to-do's you want to schedule for a client. Like when they buy your widget, you want to call them and thank them on Day 1, have your fulfillment center send them a box of chocolates on Day 3, send them a “how-to” email on day 14, and then call them on Day 45. Set up a Team where you can share (or separate) contacts, assign each other todo’s and share email and other templates. Each Team member can have different permissions and access levels to the system.